Reserving a Snack Bar Table allows you to bring in specified outside food items and have a designated place for your group to gather. 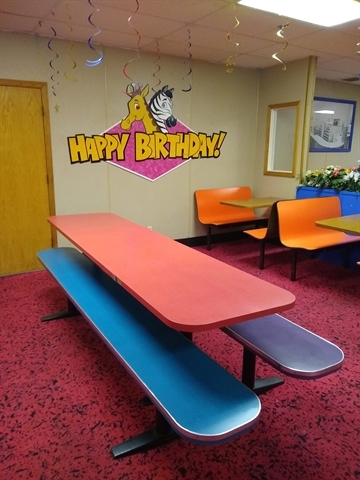 Table rentals are available during any Open Skate Session excluding Sat/Sun afternoons. Reservations available for a maximum of 2 tables for $25 each (tables seat 12-15 people each).Food items that may be brought in include: cake, cupcakes, fruit/veggie/hummus trays, cheese/cracker platter.